No Pain No Gain Boxing promotions has organised a knockout Cancer bout between Dickson Saidi and Limbani Masamba at College of Medicine Sports Complex on Friday night, 30 November, 2018. This has been disclosed at a press briefing at CoM on Saturday by the organisers and other sponsors in a bid to stage an update on the bill. Saidi, the five time-fight winner in nine, who has lost twice in the previous fights, said Masamba has been avoiding him for so long, and it is time to teach him manners. “I have been given the opportunity to get the title from Limbani. He has been dodging me for some time and now I have come to his Blantyre base to teach him some manners,” said the Lilongwe based boxer. Masamba has so far won 20 times, with eight knockouts and testing defeat five times. On his part, he did not have more to say, but only acknowledged that his challenger is a good boxer but he will give him a good fight for the belt. “I know he is a good boxer but I am equally ready to give him an exhaustive beating,” Masamba humbly said. The Managing Director, Craig Rousseau, expressed his worry that it is proving to be difficult to attract people to support the sport. “It will be a corporate event. Internationally, most bouts are held on Friday nights and this is the reason the bill will be staged at night. We also plan to do it in partnership with Hope for Cancer Foundation,” he said. 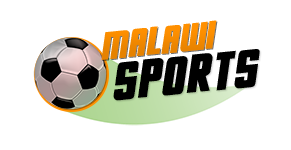 Bowler Beverages, Vision Gaming, Aqua-Pure, Kwese TV, Horizon Health and Nyasa Manufacturing Company (the sponsors of Big Bullets Football Club) are the sponsors of the Cancer Knockout bout.